On March 13 this year, Liam Aitcheson (16), of Alexandra, was riding in Tarras with the Central Otago Wakatipu Cycling Club when he, and four other riders, fell. He sustained a serious brain injury, from which he is still recovering, but this has not stopped him recently winning a national cycling title and being accepted into an Otago sports academy. When he and the other riders fell, Liam was knocked out. The Otago Regional Rescue Helicopter flew him to Dunedin Hospital where it was discovered he had a severe traumatic brain injury. He then spent a month in rehabilitation. Although he does not remember much of the time and said it "felt like dreaming", his mother, Leigh-Ann, said it was "pretty scary" because he was "like a completely different person". She described his brain injury as "if everything was bookcased; it all gets knocked out". He sustained damage to his temporal lobe which left him with temporary dyslexia and susceptible to neurogenic fatigue, she said. The injury meant he missed a significant portion of his year 12 school year at Dunstan High and although he sat some exams, he said he was "pretty sure" he would have to repeat at least some of the subjects next year. Although both he and his mother are unclear as to what happened, she said it was his helmet that saved his life. He now got angry when he saw people riding without helmets, he said. He was not allowed to cycle for six months but said he rode inside and counted down the days until he could get back on the road. His first ride was with coach Martyn Williamson from Alexandra to Omakau and back. 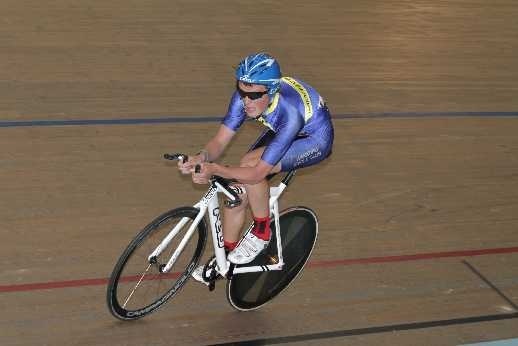 Though Liam has only been cycling for four years, and despite his injury, he won the 2011 Under-17 National Points Series. He raced in only the last four of the eight tours but won two and came third in another, giving him enough points to be the overall winner. Both he and Mrs Aitcheson credit this performance to him getting selected for the Academy Otago sports programme. The two-year programme is a joint venture between Excellence in Sport South Island and the Otago Community Trust and, although it is based in Dunedin, Liam will continue to live in Alexandra and attend school. He said he would travel to Dunedin about twice a month as well as communicate via Skype, an internet calling programme. Mrs Aitcheson said the course, which starts in February next year, would "bridge that gap to go from where he is now, to represent at a New Zealand level". Academy performance adviser Dean Horo said the aim of the programme was to provide support and assistance in all areas of sportsmanship including nutrition and sports psychology. Liam said his long-term goal was to ride professionally overseas. • Two other Alexandra boys have also been selected for the academy. They are Dunstan High School pupils Tom Vessey (16), for cycling, and Finn Butcher (16), for slalom kayaking. Another Dunstan pupil, cyclist Sophie Williamson (17), is about to finish the two-year programme this year, as is lawn bowler Shaun Scott, of Cromwell.